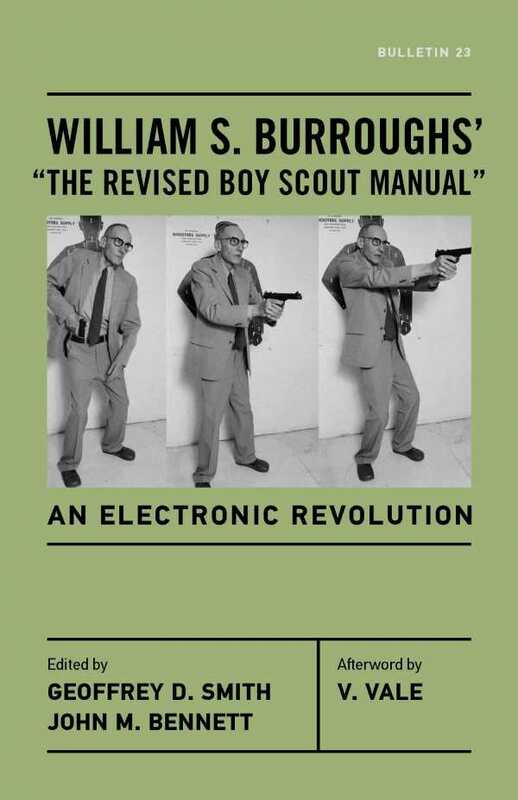 A carefully annotated, definitive edition of a long-lost William S. Burroughs work, The Revised Boy Scout Manual is a scathingly humorous, often uncannily prescient guide to revolution. Burroughs was the purveyor of a bizarre, provocative, and uniquely personal writing style that was informed by science, science fiction, and society. In these respects, The Revised Boy Scout Manual does not disappoint, providing more of what Burroughs fans love. In this 1970 composition, Burroughs turns his eye to the electronic age, advocating in his “joking, or is he?” style for mass assassinations and the manipulation of societal behavior to effect change. Among the concepts explored by Burroughs are “fake news” (in the first printed appearance of that term)—the use of fabricated or altered news events to further one’s own agenda. The provenance of The Revised Boy Scout Manual is somewhat complicated, a fact addressed in brief introductions by the editors and in their extensive footnotes. This printed version stems from three cassettes recorded by Burroughs in 1970; though it varies from other manuscripts, the editors convincingly make their case for its presentation as-is. Burroughs is in full paranoid (or predictive) glory in these pages, and he’s often riotously funny as well. For example, he endorses the idea of random assassinations (RA), but proposes the police and military be exempt from consideration as targets—not because they are critical to the functioning of society, but “to stir resentment in the populace and so set the stage for a subsequent accusation that Rightist plotters carried out RA to create an emergency and seize power.” This kind of Rube-Goldbergian revolutionary strategy is both devious and delightful. Burroughs discusses many fascinating concepts, such as speech scramblers, which might be used as weapons or simply to alter meaning. While The Revised Boy Scout Manual might attract unwanted attention at airline security checkpoints, it’s all rather tongue-in-cheek; in the final lines of the book, Burroughs advocates “the weapons of illusion.” They are weapons he’s exceedingly proficient in handling, as The Revised Boy Scout Manual makes clear.